How is it already December?! I love this time of year with all of its holiday fun! One of the traditions that I look forward to every year is making Christmas cookies. That was one of the things on our to-do list every year while I was growing up. We would get out all of the old Christmas movies and make big batches of Christmas cookies.When it comes to Christmas cookies, it’s hard to beat a good sugar cookie. 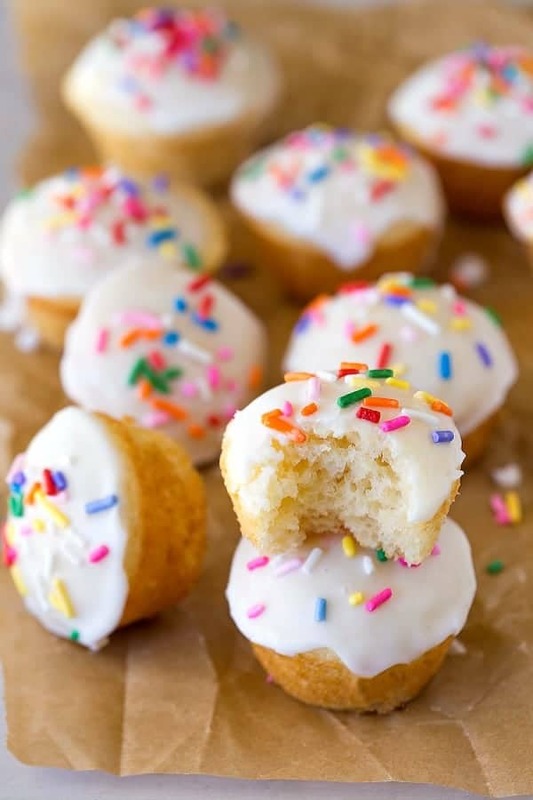 These Sugar Cookie Donut Muffins are a perfectly acceptable way to enjoy cookies for breakfast without actually eating cookies for breakfast. 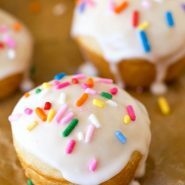 They are moist and fluffy and are topped with a sweet vanilla frosting. 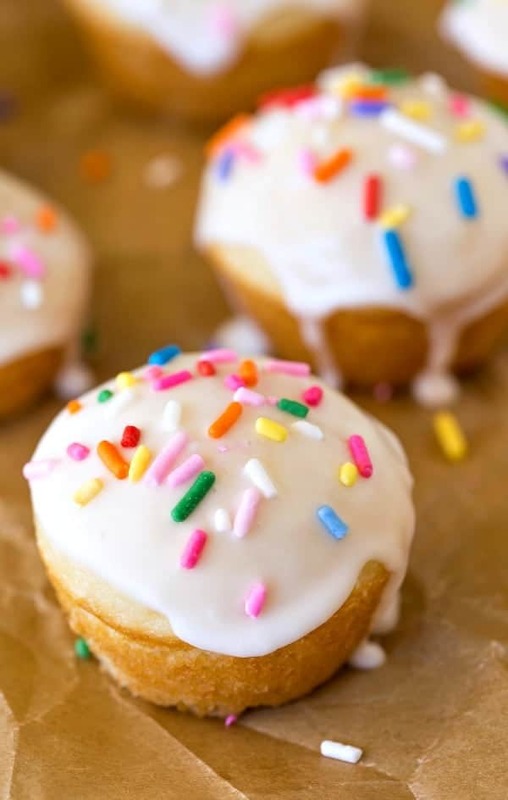 They’re the delicious cross between a cookie and a cake donut and a muffin. My son declared these one of his favorite treats and immediately asked when I could make these again. Preheat oven to 350 F. Grease 36 mini muffin cups with nonstick cooking spray. In a separate large bowl, whisk together sugar, International Delight, buttermilk, and vegetable oil until well-combined. Add flour mixture, and whisk in until just combined. Bake for 10-15 minutes, or until muffins spring back when lightly touched. Let them cool in pan until room temperature. Once the donut muffins have cooled, stir together the powdered sugar and International Delight until well-combined. Dip the tops of the cooled muffins in icing. 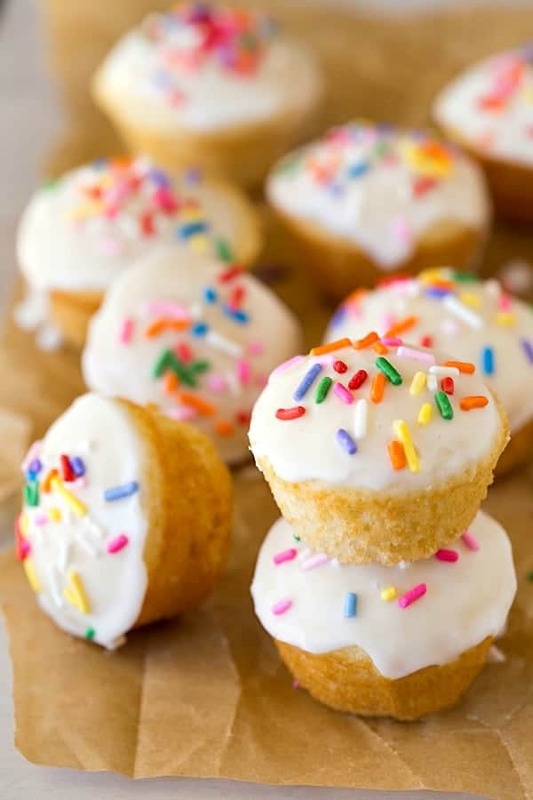 These look perfectly sugary and festive and colorful. Love it! Hey, I like it. Never thought about this before.